The Classic Film TV Cafe aka Rick at @classic_film has partnered with the new Classic TV Blog Association to host a tribute to those memorable TV hosts who brought us late night horror movies. 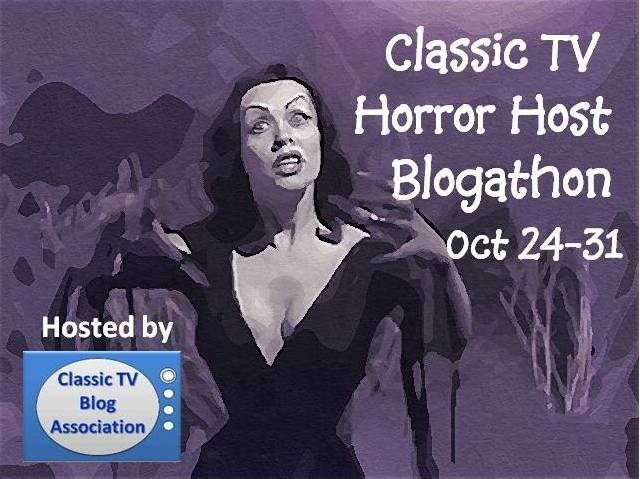 The Classic TV Horror Host Blogathon will run from October 24-31 (concluding, appropriately, on Halloween). It’s an opportunity to pay homage to such memorable hosts as Dr. Evil, Svengoolie, Sir Graves Ghastly, Dr. Paul Bearer, Elvira, Sammy Terry, The Bowman Body, Vampira, Chilly Billy, and countless others. For me, I can’t help but fondly recall my favorite local horror TV hostess of Kansas City, Crematia Mortem. This hostess with the creepy most-ess (aka Roberta Solomon, vocal and TV talent in KC) was the host of a late night TV show “CREATURE FEATURE” which aired from 1981-1988 and featured the best of the worst in horror and monster flicks. So, it was throughout my high school years that I would stay up late on weekend nights along with my sister, sometimes my uncle Pat (when he was home from college in the summer months) or friends. My mother died in May of 1981 so my little sister and I left Taos, NM and moved in with family members, back to a suburb of Kansas City. You could say growing up watching old movies was always a favorite pastime of mine. But by the time my mother died with yet another major change injected into my childhood, watching campy creature and horror flicks became an enjoyable form of escapism for me. At around the age of 12, I followed the writings of Edgar Allan Poe and read from my favorite book of Alfred Hitchcock stories that I received for my birthday. So, by that summer of 81′, KSHB Channel 41’s “CREATURE FEATURE” was a fun distraction on weekend nights. The show’s premise featured Crematia Mortem as a pale-faced with black wig character like a vampiress that hosted mostly B level horror and creature flicks, always with a healthy dose of camp. The gags were silly and obvious. Props were hilariously cheap. The set was basically a high-backed wicker chair, a coffin (Crematia’s bed, of course! ), hand-painted walls and poor lighting. And the cheap cheesiness of it all was thoroughly entertaining. Crematia was known for her bad jokes and puns- that were all fabulously terrible. She had a supporting cast that joined in from time to time like her 2 servants, Dweeb “aka man in the wall” and Rasputin, who were heard but never seen on-camera. Her creepy-camp family members would make appearances like her sister “Cremora”, her mother “Desiree” (essentially a man in a dress) and goofy lunatic cousin Henry. Crematia Mortem and the “CREATURE FEATURE” represented a simpler time. Not just for me personally but for countless others who loyally followed and relish those years of classic and campy horror films. It was a time when many TV stations were still independently and locally owned in towns across the country; allowing such creative shows to thrive on even the lowest of budgets. She remains a Kansas City legend for those of us who were coming of age during the 80’s. Roberta Soloman continues work as a well-known vocal talent on radio and TV to this day. By the way, the Crematia Mortem’s legend continues to thrive via social media. Yes, she does have a Facebook page and yes, I do follow her! Delightful post! First, I adore Crematia Mortem's name–it's got to be one of the best horror movie host monikers. Second, the clip was great–though she looks a little like Khloe Kardashian. Despite all the cable channels now, I miss the little independent stations from the 1980s, too. It was indeed a simpler time. Thanks sharing your memories of Crematia for the blogathon. It is a pretty awesome name. She was always so funny so I just had to show a clip. Those indie TV stations late at night were always so fun. And it's Khloe that looks like HER. 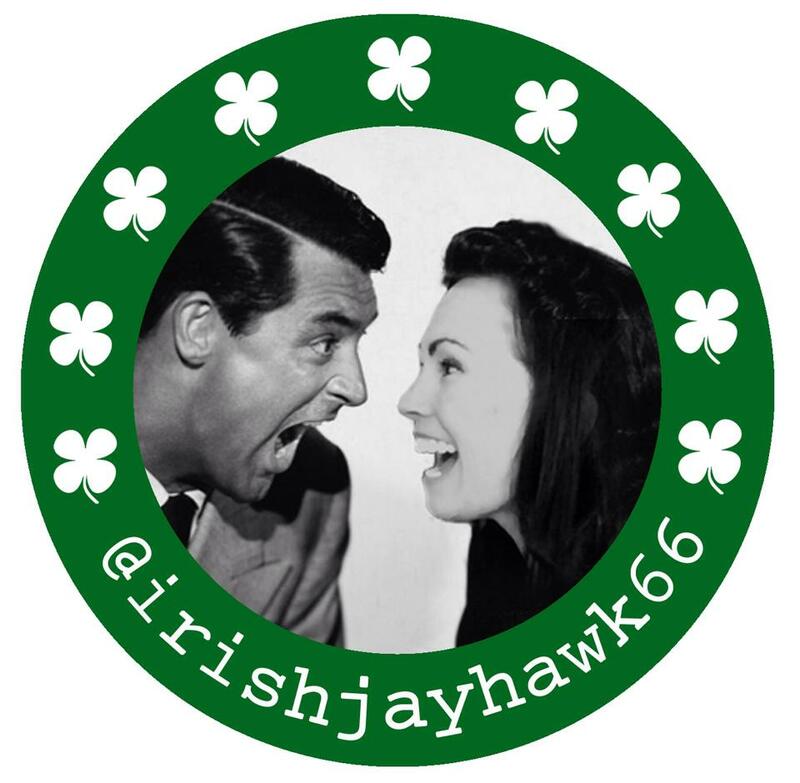 😉 Thanks again for hosting this marvelous blogathon and being so sweet to promote me so much! I don't even have the excuse of Hurricane #Sandy and I'm still behind in responding to posts and reading all the blogs myself. Glad you enjoyed my lil trip through memory lane via Crematia Mortem. Thanks again for reading & sharing, Aurora!! Great post! I think local TV stations had some of the best & most beloved characters. In our city we had a pseudo-cowboy named Buck Shot. He had puppet sidekicks and he was marvelous.